Kelly graduated with from the University of Georgia with a double major of Animal and Dairy Science. She worked at the Birmingham Zoo for nearly 13 years. Her career started as a part time keeper working in the Children’s Zoo Barn. Six months later she was hired into a full time roll. 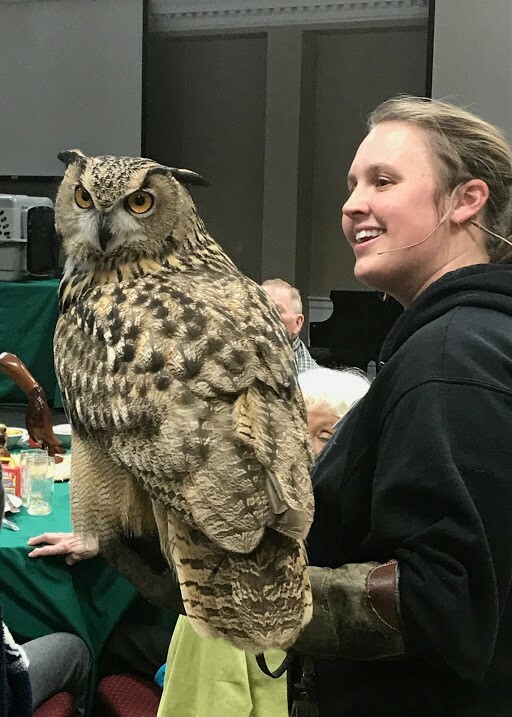 Working and training animals for the wild life shows and educating the public quickly became her passion. In 2010 the Animal Programs and Interpretation Department was formed at the zoo and it was an easy decision on where her heart fell. She managed the department until 2018 and worked hard to have a mixed species shows including free flight birds. She also served as the chairs of the Animal Training Committee and Interpretive Committees for the zoo. Kelly is a Certified Interpretive Guide and will continue to use her skills as an interpreter to educate and inform the public on the importance of conservation. Currently Kelly is taking a small break from the zoo world to spend some time with her 2 year old son..
Southern white-faced owls (Ptilopsis granti) , also known as southern white-faced scops owls, are found from southern Uganda, Kenya, and the Dominican Republic of the Congo to South Africa. These owls occupy a wide variety of habitats but prefer more open areas that still provide shelter and cover, such as dry savannahs with scattered tree cover and thorny shrubs. They also appear in semi-forested areas or forest/clearing borders that are close to rivers. The coloration is generally grey, with pronounced white and black facial markings. The face is white to pale grey with a prominent black rim on either side. 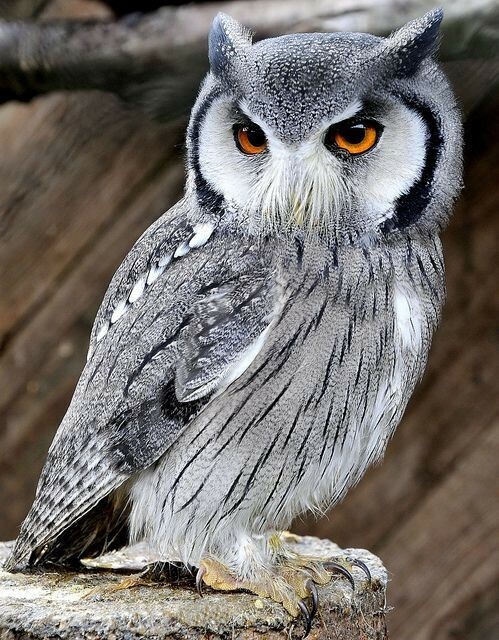 The eye color of these owls differs from the typical yellow of most scops owls and are orange-red to red. Males sing intently, mostly around dusk, but can often be heard throughout the night to attract a mate. Once together, the female will sing a duet, and later the female answers the male with a faint shriek of her own. After pairing, both males and females work together to raise and protect their young. his species has an extremely large range, and hence does not approach the thresholds for Vulnerable under the range size criterion.